Recommended age 13+ and all adult lovers of jazz. For Meet the Orchestra with James Morrison (recommended for kids 4-12 and their carers) click here. 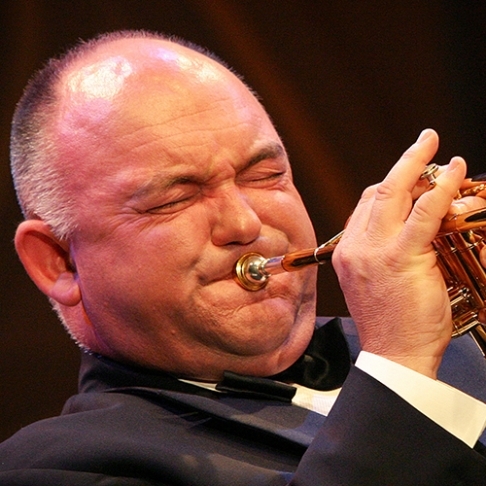 Take a journey through jazz with renowned trumpeter James Morrison and the Melbourne Symphony Orchestra. Join James and MSO Associate Conductor Benjamin Northey as they take you through your favourite jazz classics including Gershwin’s An American in Paris, Williams’ Basin Street Blues, Bernstein’s Mambo from West Side Story and Ray Henderson’s mesmerising Birth of the Blues, along with many other hits. James and Ben will guide the concert providing stories on the music and composers from the legendary jazz scene, introducing musicians and their instruments along the way. This concert is the perfect way to discover just how vast and irresistible the world of orchestral music is and an exciting opportunity to hear one of the world’s greatest jazz musicians perform not only on the trumpet, but on a variety of instruments, enhancing the incredible power a live orchestra can deliver. This is a concert for all ages – from teens and families looking for an introduction to the orchestra, to jazz and orchestral music aficionados wanting to see some of Australia’s finest musicians on stage. Enrich your experience before the concert - view and download the program notes below.